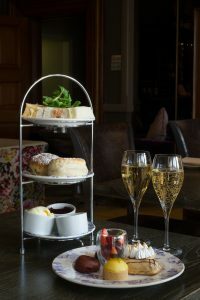 Afternoon Tea at Bedford Lodge Hotel & Spa in Newmarket, Suffolk can be taken in Squires restaurant, Roxana Bar, or on the sun terrace overlooking the stunning lawns and rose gardens at the hotel – the choice is yours. 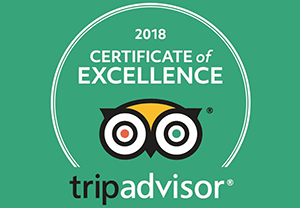 We offer a delicious selection of finger sandwiches, smoked salmon & crème fraiche, ham & mustard, egg & mayonnaise, cucumber & cream cheese, buttermilk scones with jam and clotted cream, a variety of cakes & pastries. 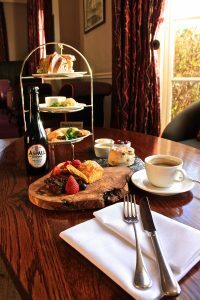 All food is freshly prepared and served with a pot of tea/coffee. 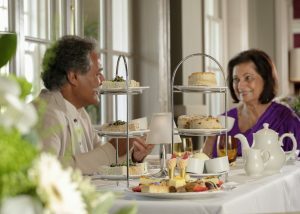 Please note, Afternoon Tea is subject to change and the images below are examples. 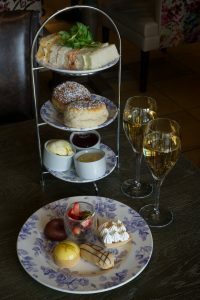 Choose from a selection of teas and coffees.